We continue to listen to the needs of our families and adapt accordingly. We have big dreams! We held two CPR classes where 15 of our moms were trained in CPR/first aid. They were so grateful. 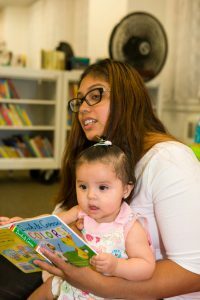 We have welcomed 9 new families to our core programming and began a second cohort of Las Orugitas (The Crawling Club) on Thursdays. 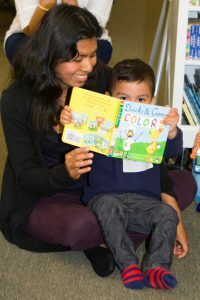 We launched a pilot English language class this summer with childcare provided. Thanks to the fantastic response from our congregation we have 7 dedicated teachers and were able to increase our students to 15, including one father. Our families are so excited to learn English… there were tears when Monika told them. The goal is forthe families to be able to communicate at a parent/teacher conference when their children go to kindergarten. We have distributed 385 books since January through The Reading Corner. We have formed a new partnership with Columbia Presbyterian where their pediatric residents will visit El Nido every 3-4 weeks and provide a Q&A on an important topic (e.g., vaccines, allergy/asthma, home remedies).